Junior college transfer returns for final season after leading the squad to the NCAA Championships last year…earned All-ACC and All-South Region honors with the Noles capturing the team title in the latter…won nine NJCAA individual national titles between cross country and track & field while starring at Central Arizona…native of Zambia. Cross Country: Helped the Seminoles advance to the NCAA Championships after claiming the team title at the South Region meet…placed third overall in Tuscaloosa, Ala. to earn All-South Region honors…two weeks earlier produced an 11th-place finish at the ACC Championships, contested on FSU’s home Apalachee Regional Park course…that was good for All-ACC honors…didn’t make his debut in uniform until the Wisconsin adidas Invitational, where he was 66th in a deep field. Indoor: enjoyed a productive campaign in four meets for the Noles…ran 1600m anchor leg on the sixth-place DMR at the ACC Championships, which produced the No. 3 time in program history…also competed in the mile and 3000 at the conference meet…was runner-up at the UCS Invitational in the mile as his PR 4:04.79 nabbed the No. 7 spot in school history….runner-up DMR finish at David Hemery Valentine Invitational produced the No. 6 time in program history. Outdoor: sat out season as a potential redshirt. Claimed 2015 NJCAA National Outdoor Track Athlete of the Year after capping his season with national titles in the 1500 (3:49.75) and 5000 (14:30.46)…helped Central Arizona to the team title…pulled off rare triple by winning 2015 NJCAA Indoor national titles in the 5000, 1500 and 3000…two-time junior college cross country national champion (2013, 2014)…has represented Zambia a number of times…placed 10th in the 1500 at the 2011 African Championships in a PB 3:47.91…was eighth in the 3000m (PB 8:11.14) at the 2011 World Youth Games and fifth at the same distance in the 2010 Youth Olympic Games in Singapore…ran PB 1:50.14 in the 800 at the University of Arizona…posted his 5000m PB on the track in 2012 (13:58.63). 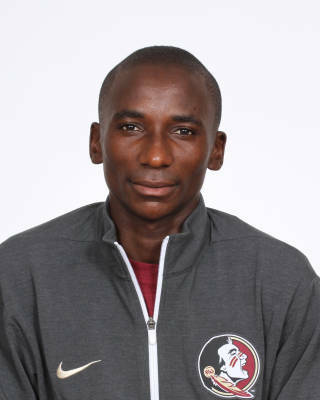 Attended the same junior college as former Seminole All-American Violah Lagat…played soccer for three years at Chililabombwe high school…born Feb. 3, 1994.